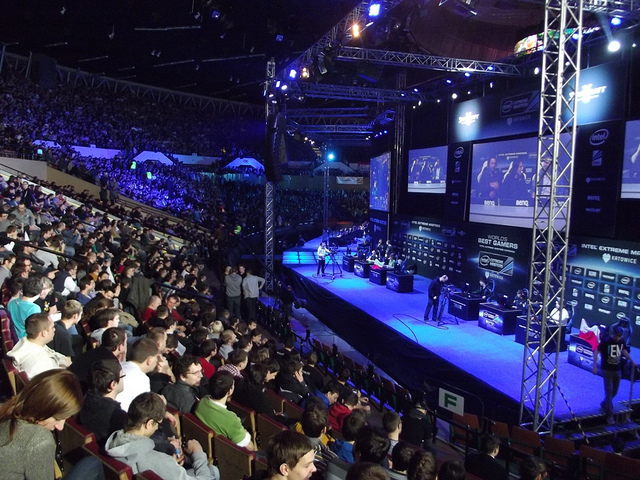 eSports are one of the biggest new trends in professional gaming. According to Forbes, over 36 million people streamed the League of Legends World Finals online last year. ESPN created a dedicated section of their website just to keep up with news and advancements in the industry. Big-name companies like Coca-Cola and Intel are taking notice and sponsoring individuals and teams; there’s literally billions of dollars at stake. If you need a crash course in exactly what eSports are and why they’re such a big deal, here are seven eSports facts that will blow your mind. In a virtual world where the usual physical requirements that separate competitors don’t exist, eSports should theoretically be an ideal arena for gender equality. And yet women have had a tough time breaking in. It's for that and other reasons that there is the assumption that girls don’t exist in public gaming spaces, forcing many to ask the question, “Do girls play video games?” The answer is, of course. In fact, 59% of girls ages 13–17 are playing video games. But sadly, harassment and sexism have long been a problem in the anonymous zone of the internet, and the world of eSports is no exception. Most women, then, of those who do play eSports, do so invisibly. “I don’t want to use voice chat. It’s worst on the more casual servers. As soon as [other players] see I’m a girl, they have something to say,” says Counter Strike player Heather Mumm in an article on PCGamesN. Her feelings are shared among the community. Most females playing video games don’t use voice chat and don’t advertise their gender. If they’re skilled, they’re immediately accused of hacking the game. If they’re struggling, they’re told to “get back in the kitchen” and quit gaming entirely. Such a hostile playing environment especially takes its toll when you’re trying to make eSports your career. Richelle, a StarCraft 2 player, reached Grandmaster in the game—a huge milestone for any player. It should be celebrated, but Richelle still met with backlash for being a woman who earned it. Sexism and harassment are only part of the equation. The world of eSports thrives on marketing and sponsorships, and those companies are focused on connecting with affluent young men between 21 and 34 years of age, according to this Polygon article. Since an overwhelming majority of eSports players are already male and continuing to grow in numbers, advertisers don’t see the point in attempting to recruit a new audience at the risk of alienating their current one. So, sponsorships and marketing to female eSports players is rare, and the playing environment is less than encouraging, to say the least. What can be done? Despite these hardships, the number of women in eSports is on the rise. Last year, IQ, Intel’s digital magazine, published an article discussing UBINITED and CLG Red, two female Counter Strike: Global Offensive teams that have placed highly in tournaments for years. According to an article on PCGamer, another solution eSports professionals have implemented is female-only tournaments. “Women’s tournaments are important and valuable as a temporary solution for helping to build a community of women in [the eSports] space,” Morgan Romine, an anthropologist specializing in the diversification of eSports said in a talk at the GDC. These tournaments aren’t designed to segregate male and female players forever, but are rather being used as a stepping stone to ensure women get engaged with eSports in an encouraging space, with role-models that newcomers can look up to. Skylla, a CS:GO tournament series, is doing their part to change the numbers as well. They host inclusive tournaments to give teams a better chance to reach higher levels of competition. The participants are comprised of eight top female teams that struggle to get a chance to compete aside from women-only tournaments, and eight semi-professional male teams. Skylla’s co-founder Tom Lemke says the goal is to level the playing field for CS:GO and create more diversity in the game. The series is new, but growing rapidly; Skylla’s first tournament had 200,000 viewers, and their second one tripled that number. If female gamers can be encouraged to pursue eSports from a young age, and can build their confidence in female gaming spaces, when they then enter mixed-gender tournaments, they’ll have a better chance of sticking with their passion until eventually, the need for female-only tournaments is erased. Got a daughter who’s interested in eSports but isn’t sure of her place in the arena? Encourage her dreams! Got a son who’s already heavily into CS:GO? Make sure he knows how to treat every player equally, regardless of gender. If you’re looking for more official training, send your future competitive gamer to camp! We’ve got a host of gaming summer camps waiting to be explored, including a specific course in eSports production! Do Girls Play Video Games? Of Course. Let's Change the Dialogue.